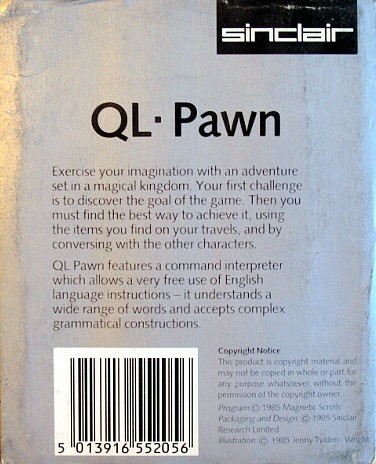 One of the most sought after and rare adventure games, QL-Pawn was later republished for Atari ST and Amiga in the much more familiar Rainbird packaging. 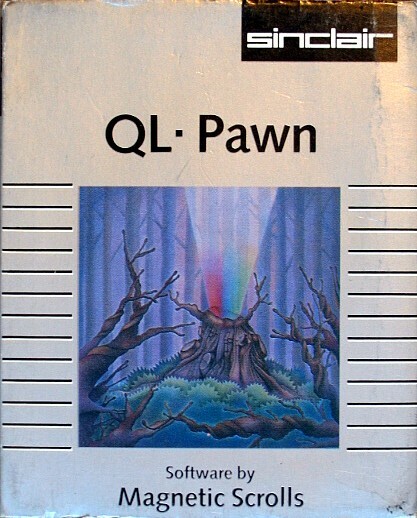 Since the QL was a somewhat obscure platform, not too many copies of this are still around. 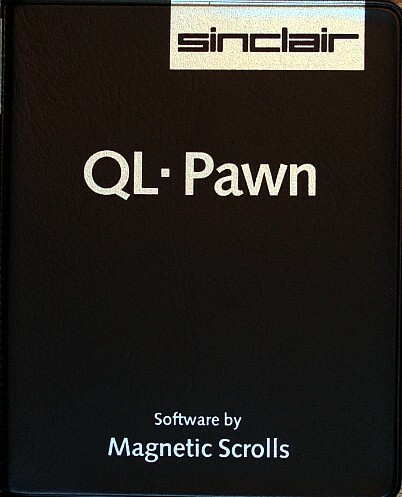 The game included two blank microcartridges to be used for backing up the main game cartridges.